And somehow - impossible though it seems - they may still be alive. 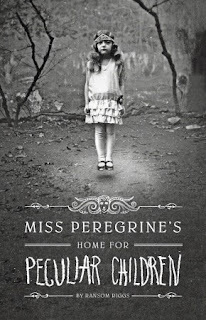 Miss Peregrines Home for Peculiar Children is a very interesting novel. I absolutely loved that it included pictures. When did pictures become things for only children's books? This story would have been completely different without the pictures, because you wouldn't have believed it as much and you would have had to imagine everything. 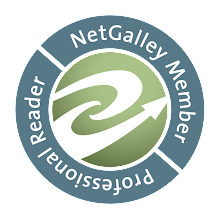 There was a cohesiveness to the story, because now every reader will have the same images in their head for whats going on. This is a great pick for a book-to-movie concept, because as long as the directors stick to the photos all the fans will be happy with casting. Other than my love for the photos, I really enjoyed this novel. It was a very different story than I have ever read. One unique thing about it is that it has a male narrator. There aren't a lot of popular male narrators in YA and it was interesting to read one. I always like it when I get a different experience than normal when reading and having a different gender narrate was interesting. I also really liked the idea of a boy searching to find out if the stories that his grandfather told him while growing up were true. I almost wish, though, that Jacob would have ran away to the place where his grandfathers stories took place, because in reality what parent would really take their child there? It would have helped out a lot with the story, especially the ending. It would have made it much cleaner. I will admit, though, that this was a very, very different novel from what I was expecting. I was expecting this to be more of a horror novel than it turned out to be. With a cover like that and a title like that, who can blame me? There are definitely some very creepy parts to this story, especially the creatures in the woods, and the photos are definitely something to stare at, but I will admit I was a little let down. I wanted to be terrified the whole way through the story or at least very creeped out. I didn't want to have a happy ending or even a sequel. I wanted this to be very creepy and finite. This wasn't the case and once I got to the part in the book where I started to figure that out I took a little reading hiatus from it and came back to it later with a clearer head. Once I came back to it I started liking it again, because my hopes weren't up so high, so I strongly suggest not reading this with any ideals in mind for how you think it is going to be. Although the story ending up being completely different from what I thought it was going to be I really enjoyed it. It was definitely different and creepy and a very good read. I suggest this novel to those of you who love paranormal and good story. It's definitely a good book for those who are used to reading middle grade and is just starting to get into YA. I enjoyed Miss Peregrines Home for Peculiar Children. It was very unique and I absolutely loved the photos. The photos are what made this novel. I will admit that when I first heard about this novel I envisioned a completely different story and severely got my hopes up while reading. I had to take a break from the novel to clear my head before finishing it or I would have probably ended up not liking the novel since it isn't at all what I envisioned it to be. Once I cleared my head I enjoyed the ending and liked the story overall. I really think this is a great novel for those readers who read middle grade and are starting to transition over to young adult novels. Great transition book.